Being healthy goes beyond what we eat and drink these days, though that is definitely the best place to start when restoring your health naturally. As you may recall there are harmful chemicals being ingested daily through our diet which are frequently ignored. There are also toxins linked to health issues that are typically taken in by our largest organ, our skin, or inhaled from the personal products used every morning. These are prominent areas of exposure that are within our control, which when swapped out for plant-based alternatives can instead strengthen our immune systems with every change, every day. Majority of mouthwash contains alcohol, toxins and chemicals that put your health at risk. To list the issues with each of the following damaging chemicals would be an article better left to the professionals – like holistic dentists. Instead here are some of the ones to look into and research: chlorhexidine (increases blood pressure), hexetidine or oraldene (causes clotting in parts of the brain, unstable heartbeat and is carcinogenic or cancer-causing), methyl salicylate, benzalkonium chloride, cetylpyridinium chloride, methylparaben (found in breast cancer tissues) and not to mention artificial colors or dyes. Alcohol itself is known to dehydrate our systems, which according to Dr. Gerry Curatola is “denaturing to this natural ecology of the mouth called oral microbiome.” Whereas when swapped for oil pulling, an ancient Ayurvedic practice dating back to more than 3,000 years ago that involves putting a tablespoon of extra virgin organic cold pressed oil (coconut, sesame, sunflower, safflower, etc) in your mouth and swishing, or pulling it through your teeth for about 20 minutes. It is an easy practice to establish if you keep the coconut oil and tablespoon with your toothbrush and toothpaste so it can be done before even getting in the shower and pulled while showering and getting ready before spitting out in a toilet (NOT sink) and brushing your teeth. Some of the benefits of oil pullinginclude, but are not limited to: strengthening teeth, gums and jaws; preventing bad breath, bleeding gums and dryness of throat and cracked lips; reducing bacteria significantly contributing to tooth decay; lessening plaque; whitening teeth; detoxing the body; improving gum health; maintaining and promoting oral health. While showering, what you lather and cleanse your body with, or use to eliminate any bad bacteria lingering on your skin can actually be causing your body more harm than good. Seeing as how at least 60% of the substances put on our skin are absorbed into the bloodstream, many people are unknowingly blasting their systems with too common chemicals that disrupt hormones, aggravate allergies, are tied to reproductive issues and an increased risk of cancer. Some of these questionable chemicals are parabens, phthalates, sulfates, triclosan, and fragrances (found in a lot more personal products than just your soap). Particularly, sulfates like sodium lauryl sulfate (SLS) and sodium laureth sulfate (SLES) rob the skin of its natural oils while being an irritant for anyone with sensitive skin. Also, triclosan produces dioxins that disturb the endocrine system, negatively affect thyroid function and is the primary toxic component of Agent Orange! Whereas swapping to plant-based, natural soaps or body washes made completely of plant-based ingredients allows the skin to absorb actual vitamins and minerals. Much like the average food consumed today, common toothpastes are made with artificial flavors, sweeteners (saccharine, aspartame, xylitol, erythritol, etc.) and colors chemically made from coal tar extract, like food dyes #1 and #2. Average toothpaste usually has other chemicals in it already mentioned like SLES or SLS (another carcinogen), triclosan and parabens, too. The most controversial toothpaste ingredient of them all is fluoride, a toxic element. The most highly active, non-radioactive element in the Periodic Table actually, which means it is very negatively charged. So though it may be considered “natural”, a full size tube of toothpaste can still kill 2 children under the age of 5 with the amount of sodium flouride it contains. There are also over 40 studies showing an exponential increase in hip fractures when flouride is found in the system for 30 or more years, while also correlating it to cancer and lower IQ in children. As Dr. Mercola notes, “another area of great concern is your thyroid gland. Swapping out the children’s favorite movie character, color, or sweet-tooth appeasing toothpastes with natural, plant-based toothpastes can strengthen everyone’s dental hygiene. Also adding in the 2 anti-oxidants commonly found lacking in people with gum disease – Vitamin C and CoQ10 – in high-quality through our diet may be a beneficial start to your morning. “Moisturizers often contain the most synthetic chemicals and petroleum by-products, many of which are linked to health concerns” states Charmaine Leah, founder of organic beauty products boutique Mint + Berry. Again as its applied to your skin, these health-affecting chemicals make its way into your bloodstream. At this point, are you even surprised? Thus, the safest options are always to look into the brands and their history or recent acquisitions and mergers with larger corporations. Back to body lotions. Instead of wasting money on an expensive, or inexpensive, bottle of risky ingredients, try natural alternatives like coconut oil, shea butter, or aloe. This is why you can find coconut oil abound at stores. As a lotion replacement it easily absorbs into the skin, doesn’t leave a greasy feeling, and works as a great moisturizer. It also is an anti-ager with its antibacterial and antimicrobial properties. Only working with hair shampoo and conditioner for a short time does not allow this personal product to slip by this list. The health effects of harmful ingredients to the tune of SLS, SLES, parabens, fragrances, polyethylene glycol, parfums, paraffins, artificial colors/dyes and methylisothiazolinone (MIT) that may have detrimental effects on your nervous system, have deep effects on our health beyond what is absorbed through our hands’ for a few minutes of application and rinsing. To the same tune as other personal care products, deodorants contain the same health-harming ingredients of parabens, phthalates, triclosan, and fragrances. One key ingredient of difference, though, is aluminum. Aluminum is a metal that increases gene instability in breast tissue, which promotes tumor growth. Research suggests that aluminum may accumulate in breast tissue in women, cause alterations to DNA and have epigenetic effects, as well as interfere with estrogen receptors in breast cancer cells. This swap is an easy one to make with the growing number of natural deodorants available at supermarkets, but be mindful of corporate mergers. It’s a wonder how the European Union prohibits more than 1,300 substances in their personal care products, but the U.S. Food and Drug Administration (FDA) prohibits about a dozen substances. That means out of the over 10,000 chemicals, maybe 10% are tested for safety! Beyond the list of harmful ingredients you can probably recite by heart now, makeup adds to that – titanium dioxide (possible carcinogen), synthetic musks, styrene acrylates copolymer, preservatives, polytetrafluoroethylene (PTFE also known as Teflon), nitrosamines (linked to cancer), nanomaterials, mica, heavy metals (lead, arsenic, mercury, etc. ), carcinogens, and ethanolamine compounds like diethanolamine (DEA) – just to name a few. For personal recommendations for any of these swaps, please reach out to Blanca via her website available in the bio below. With all the mixed information out there about coffee, I hold nothing against having a high-quality, clean and organic cup of coffee from time to time. The way in which it is grown, where it’s grown, how untainted the seed is, and how often you have your coffee makes all the difference in being receiving any health benefits. 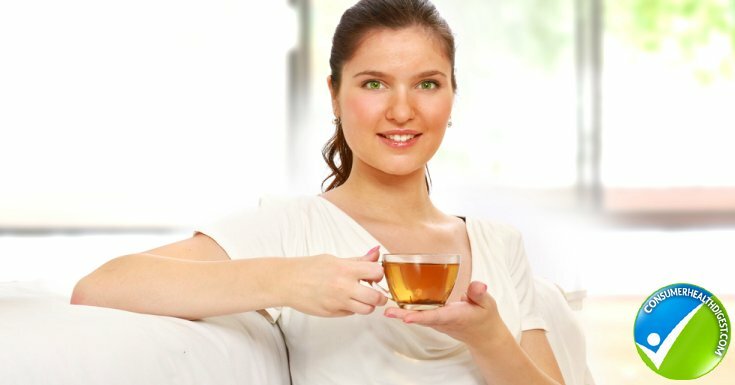 However, if you question or are up to making a healthier swap, then organic hot tea makes an unquestionable alternative that can be combined with many other beneficial ingredients, like cinnamon, turmeric, cayenne powder, and apple cider vinegar.